Beach Wear & End of Summer ~ Roses and Rain Boots . So if you have ever been to Maine before, then you know how SERIOUSLY, cold frigid the water is. Taking these pictures really required a lot of my self-control not to go running out of the water screaming. But, what's better than combining two of my favorite things: the beach & a donut float?! So I "women-ed up" and went and stood in the icy cold water for a few photos. With school officially back in session, it's easy to think summer is over. But it's not. 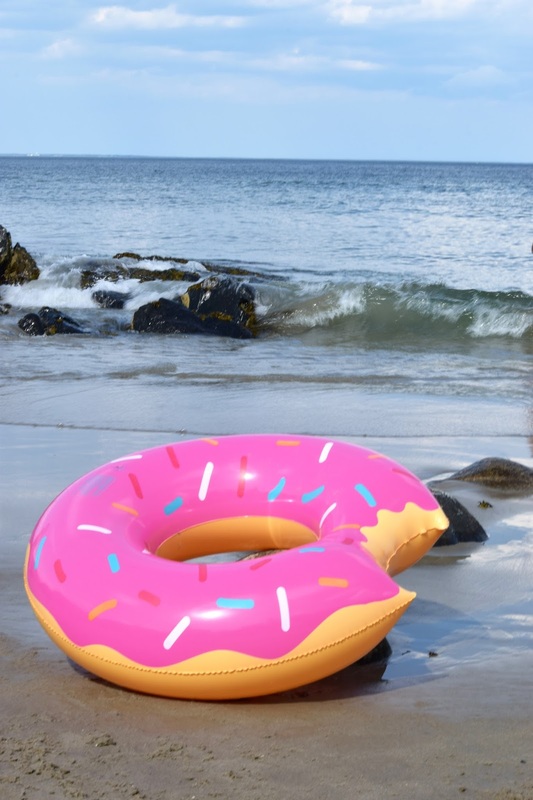 This 80 degree weather and a soon to be 3-day weekend call for one last summer getaway, so quickly grab your donut float, favorite suit, and friends for a final day at the beach! If you're a girlie girl, like myself, or a pinterest fan, then you have seen the hundreds of adorable pool floats that have been sweeping social media throughout the summer. The donut is my personal favorite, and I've linked some affordable, under $15 options for Amazon, so you can even have them in time for the long weekend. In addition to animal and food themed pool floats, I'm also obsessed with these Pura Vida bracelets throughout the summer. The meaning behind them is so powerful, and simplistic: to enjoy the little things in life. Right now, Pura Vida, is offering an exclusive monthly club where you get THREE bracelets for only $14.99/month. 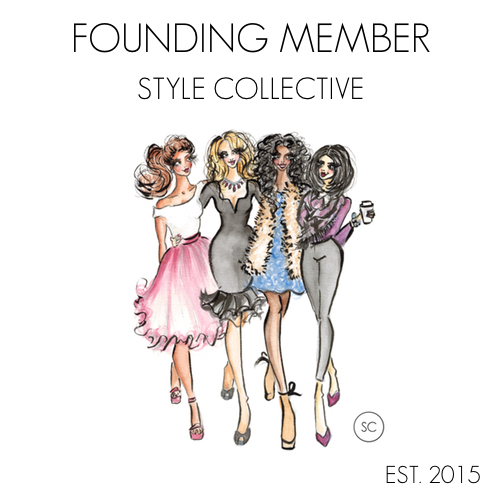 I've linked it below for you & can't wait to sign myself up! These bracelets have become staples in my arm party.